The difference goes far beyond the obvious distinction in the quality and character of actors in these two scenarios. The difference lies in the extreme efforts that U.S. and coalition forces expend to identify targets as legitimate military objectives and minimize the potential loss of civilian life. In other words, the latter represents a lawful use of force because it is in strict compliance with the Law of Armed Conflict (LOAC). Recent experience and the successful execution of a campaign to deprive IS of its war-sustaining oil revenue by the United States and its coalition partners provide a model for depriving an enemy force of the economic activity that it relies on to sustain its war efforts in a manner consistent with the LOAC. This article examines the targeting of enemy war-sustaining activities through the lens of successful efforts by the U.S.-led, counter-IS coalition in Iraq and Syria—Combined Joint Task Force–Operation Inherent Resolve (CJTF-OIR)—to disrupt IS ability to generate revenue through the sale of oil. Aided by a diligent and intensive intelligence effort, and guided by a commitment to the principles of LOAC, CJTF-OIR demonstrated that the economic activity an enemy relies on to sustain its war efforts can be lawfully targeted under LOAC, notwithstanding the skepticism of much of the world community. Another concern that some have raised regarding the legality of targeting war-sustaining activities is that the U.S. position could present a slippery slope, ultimately permitting the targeting of virtually any industry that arguably supports an enemy’s warfighting effort, even if only through the production of taxes. After all, taken to an extreme, virtually all economic activity within a society could arguably be found to support that society’s ability to make war. The U.S. position regarding the lawfulness of targeting of such activities, however, is not absolute and, unlike the majority position that would prohibit such targeting under all circumstances, offers significant flexibility. As stated by the former Department of Defense General Counsel in a recent speech, “We do not believe categorically that we can target any and all cash or revenue-generating objects simply because of their nature. Rather, we consider each potential target on a case-by-case basis and evaluate it in light of the information we have available.”6 This flexible approach enabled CJTF-OIR to gain a definite and inarguable military advantage from the targeting of IS oil trucks that the majority position would have denied it. IS has been characterized as the richest terrorist organization in history. It is funded in large part by extortion, seizure of funds from Iraqi state-controlled banks that have come under their control, and sale of looted ancient artifacts. Its most significant source of income in 2015, however, was from the sale of oil and gas drawn from the fields it captured in Iraq and Syria. The proceeds from these sales accounted for about half of IS’s estimated $1 billion in annual revenue.7 The bulk of IS’s oil income funded its military operations, including the payment of its fighters and the purchase of weapons. There can be little doubt that this industry was making an effective contribution to IS’s military action. Even before CJTF-OIR stood up in October 2014, U.S. military forces and partner nations began targeting IS-controlled oil facilities. The first strikes, in September 2014, were on modular oil refineries that “[provided] fuel to run [IS] operations, money to finance their continued attacks throughout Iraq and Syria, and . . . [were] an economic asset to support future operations.”8 These efforts, however, were only marginally effective in damaging the IS war effort. Over the course of a year of targeting oil facilities, including major oil fields in Iraq and Syria, the coalition determined that these strikes were having a minimal effect on the enemy. IS was frequently able to repair the damage caused by these strikes within a matter of days, or even hours. Moreover, the strikes did little to disrupt the oil trade itself that continued to fill IS coffers. 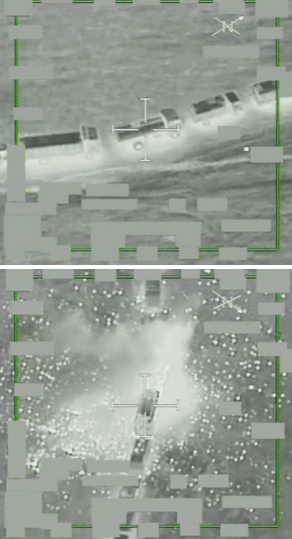 In October 2015, CJTF-OIR significantly expanded the targeting of IS’s oil enterprise with the execution of Operation Tidal Wave II.9 As a phased operation, Tidal Wave II stepped up the number of strikes; sought effects that would disrupt operations for months instead of days; and, perhaps most significantly, expanded the target set to include the tanker trucks that formed the core of the oil distribution network and without which IS’s oil trade could not flourish. The decision to target the trucks used to haul IS oil represented a significant departure from prior practice and was not without controversy. Prior to Tidal Wave II, oil tankers—sometimes massed by the hundreds or even thousands at IS-controlled oil facilities—were specifically excluded from targeting in an abundance of caution related to concerns regarding the LOAC principle of distinction. This principle requires belligerents to distinguish between civilians and civilian objects on the one hand, and military objectives on the other. The former may not be targeted intentionally, while attacks must be strictly limited to the latter. These tankers presented three concerns regarding the principle of distinction: the trucks themselves, by their nature, were civilian objects; the drivers of these trucks were civilians; and the oil in the tanks became a civilian object that people relied on once purchased from IS. The former reluctance to target these trucks comported with the majority view disfavoring the targeting of war-sustaining objects. Given the relative ineffectiveness of the targeting of IS oil facilities and the U.S. position that military objectives may include, under certain circumstances, war-sustaining activities that indirectly but effectively support and sustain the enemy’s warfighting capability, CJTF-OIR began to carefully analyze and reassess the targeting of these trucks. Supported by an intense intelligence effort and considering potential targets on a case-by-case basis, this analysis revealed the trucks that formed the basis of the IS oil distribution networks could become lawful targets. Regarding the status of the trucks as civilian objects, under LOAC if a belligerent uses a civilian object for military purposes the object will lose its protected status and become a valid military objective. Based on the intelligence assessments available at the time, there was no doubt that IS was using its oil distribution network to primarily fund its military operations, and the trucks were the critical component of that network. Unlike other traditionally civilian economic activity, there was nothing speculative or unpredictable about the military advantage to be gained by the destruction or neutralization of this network. Accordingly, the trucks used to distribute IS oil were determined to have lost their protected status. CJTF-OIR went to great lengths to identify and target only those trucks that could reasonably be associated with an IS-controlled oil facility. This intensive intelligence effort enabled CJTF-OIR to distinguish between those trucks that were, by their purpose and use, definitely making an effective contribution to IS military action and those that may have been used for purely civilian purposes. Similar to the trucks themselves, CJTF-OIR assessed the oil being hauled in the trucks as being used by IS for a military purpose. Like the Confederate cotton targeted for destruction by Union forces 150 years before, IS oil was the “great staple” funding military operations and therefore a valid military objective even once purchased from IS by the truck drivers. This analysis, however, was not the sole basis that CJTF-OIR relied on to justify the destruction of the oil being hauled in trucks associated with an IS oil facility. As a fallback position, CJTF-OIR assessed that even if the oil converted to a civilian object upon its sale to the truck drivers, its destruction would constitute collateral damage during the targeting of the trucks. Given IS reliance on the revenue produced by its oil distribution network to fund its military operations, this collateral damage would never be excessive in relation to the advantage to be gained by the disruption of this network. Finally, in reassessing the legality of targeting this activity, the status of truck drivers presented the greatest concern for CJTF-OIR, which recognized that it was virtually impossible to positively identify these drivers as members of IS. Doing so would have rendered them combatants subject to targeting. On the contrary, as the Chairman of the Joint Chiefs of Staff testified before the House Armed Services Committee, “We assessed that the majority of the truck drivers were, in fact, just people trying to make a living in the region.”10 While civilians can lose their protection under LOAC by directly participating in hostilities, the act of merely hauling oil purchased from IS did not constitute such participation. Accordingly, these individuals presented concerns regarding the LOAC principle of distinction. While LOAC would not permit CJTF-OIR to intentionally target these truck drivers, it did not preclude their accidental injury or even death as collateral damage incident to strikes on the trucks or any other valid military objective associated with the oil facilities. As with its efforts to identify and target only those trucks associated with IS facilities, CJTF-OIR went to extraordinary lengths to minimize civilian losses incidental to the targeting of IS oil trucks. Specifically, CJTF-OIR took steps to mitigate the risk to drivers, providing pre-strike warnings such as leaflet drops, low aircraft passes, and strafing runs to encourage the drivers to abandon their trucks before becoming collateral damage.11 Moreover, prior to authorizing any strike, the responsible commander had the duty under the LOAC principle of proportionality to evaluate each target to ensure that the anticipated civilian collateral damage was not excessive in relation to the concrete and direct military advantage anticipated by the strike. Given the success of Operation Tidal Wave II, it is undeniable that war-sustaining activities like the Islamic State’s oil enterprise could constitute important military target sets. If targeted successfully, their destruction or neutralization could severely impact an enemy’s ability to engage in armed conflict and, hopefully, lead to an earlier cessation of hostilities. This success and the potentially positive outcome highlights the value of the U.S. case-by-case approach to the targeting of war-sustaining activities. Under the majority view, Operation Tidal Wave II would not have been permitted, despite the entirely predictable military advantage that such targeting produced while minimizing civilian losses. While it may well be that the United States has been “alone or almost alone” in its position regarding the targeting of war-sustaining activities, the success of the operation may represent a critical turning point in the world’s view of such actions. Other nations participating in the counter-IS fight have joined the United States in actively targeting the IS oil enterprise. They include two stalwart allies and a peer competitor: the United Kingdom, France, and Russia. 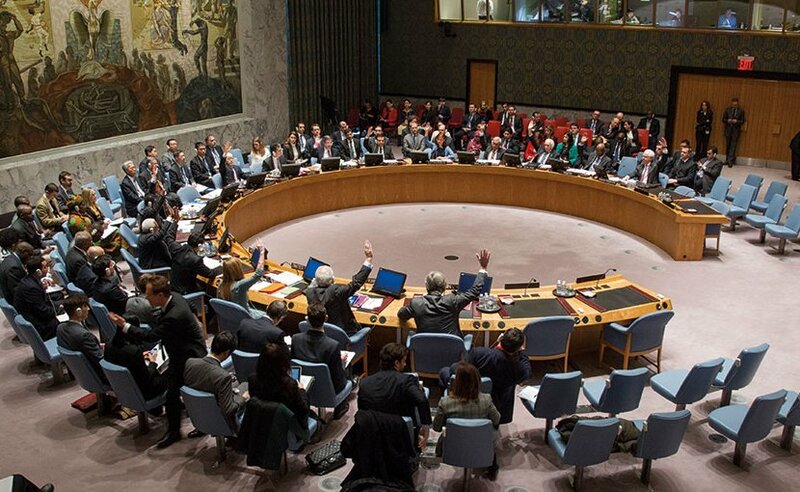 Along with the United States, these participants represent four of the five permanent members of the United Nations Security Council. If indeed the U.S. view remains the minority view, it is now a fairly significant one. Perhaps the time has come for the majority to reassess its position. Lieutenant Colonel (P) Jeffrey Miller, USA, is a Strategic Initiatives Officer for The Judge Advocate General, Department of the Army, at the Pentagon. Colonel Ian Corey, USA, is a Staff Judge Advocate at U.S. Army Cyber Command at Fort Belvoir, Virginia. This article was published in the Joint Force Quarterly 87, which is published by the National Defense University. 1 Protocol Additional to the Geneva Conventions of 12 August 1949, and Relating to the Protection of Victims of International Armed Conflicts (Additional Protocol I), Article 52(2). Although not ratified by the United States, it considers this principle to be binding customary international law. 2 Office of the General Counsel, Law of War Manual (Washington, DC: Department of Defense, June 2015), paragraph 5.17.2.3, available at <http://archive.defense.gov/pubs/Law-of-War-Manual-June-2015.pdf>. 3 Ryan Goodman, “Targeting ‘War-Sustaining’ Objects in Non-International Armed Conflict,” American Journal of International Law, vol. 110 (June 2016), available at <https://papers.ssrn.com/sol3/papers.cfm ?abstract_id=2783736>. 4 Commentary on the Additional Protocols of 8 June 1977 to the Geneva Conventions of 12 August 1949, International Committee of the Red Cross (Geneva 1987), paragraph 2024. 5 This debate was illustrated by the objection of our allies to the U.S. plan to target components of the Taliban’s narcotics industry in Afghanistan. See Judy Dempsey, “Afghan Drug Fight Will Follow Law’s Letter, NATO Says,” New York Times, November 1, 2009, available at <www.nytimes.com/2009/02/11/world/asia/11iht-nato.4.20119005.html>. 6 Jennifer M. O’Connor, “Applying the Law of Targeting to the Modern Battlefield,” remarks delivered at New York University School of Law, November 28, 2016, available at <www.defense.gov/Portals/1/Documents/pubs/Applying-the-Law-of-Targeting-to-the-Modern-Battlefield.pdf>. 7 Daniel L. Glaser, remarks delivered at Chatham House, London, England, February 8, 2016, available at <www.treasury.gov/press-center/press-releases/Pages/jl0341.aspx>. 8 “Department of Defense Press Briefing by Rear Adm. Kirby in the Pentagon Briefing Room,” September 25, 2014, available at <www.defense.gov/News/Transcripts/Transcript-View/Article/606932>. 9 The operation was named after World War II’s Operation Tidal Wave, which unsuccessfully sought to deliver a knockout blow to the German war effort by striking the oil refineries in Romania that produced the bulk of Nazi petroleum products. 10 “U.S. Strategy for Syria and Iraq and Its Implications for the Region,” hearing before the House Committee on Armed Forces, YouTube.com, December 1, 2015, available at <www.youtube.com/watch?v=SXT6U7tnaH4>. 11 See, for example, Tom Vanden Brook, “Leaflets Prompt ISIL Truckers to Flee,” USA Today, November 19, 2015, available at <www.usatoday.com/story/ news/world/2015/11/19/isil-iraq-syria-oil-smuggling-leaflets/76065902/>. 12 See, for example, Jose Pagliery, “ISIS Cuts Its Fighters’ Salaries by 50%,” CNN.com, January 19, 2016, available at <http://money.cnn.com/2016/01/19/news/world/isis-salary-cuts/index.html?sr=fbCNN012016isis-salary-cuts0102AMVODtopLink&linkId=20506180>. 13 See Daniel L. Glaser’s remarks in “Foundation for Defense of Democracies Holds a Discussion Entitled ‘State of Play: Combating Today’s Illicit Financial Networks,’” May 11, 2016, available at . Assistant Secretary Glaser attributed this to a combination of reasons, including a drop in the international price of oil and expanded counter-smuggling efforts, but primarily Operation Tidal Wave II. 14 White House, press briefing, December 13, 2016, available at .